With so many PC users being content with their existing CPU, it's no surprise that many of you didn't even blink when Intel launched its seventh-generation Core processors back in August. Codenamed Kaby Lake and introduced on a process that Intel describes as 14nm+, the new range can be deemed a minor upgrade touting higher clock speeds, better efficiency and a new media engine primed for 4K content. 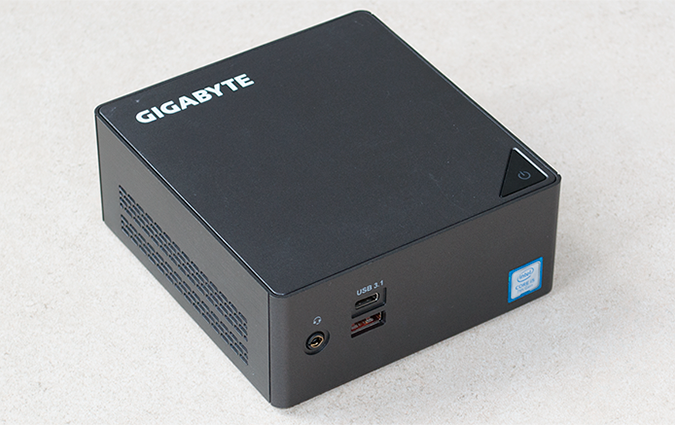 Desktop Kaby Lake CPUs aren't expected until early 2017, but with mobile solutions out in the wild, opportunity beckons and Gigabyte is eager to put the new Core i5-7200U to work in an ultra-small Brix S mini PC priced at £400. 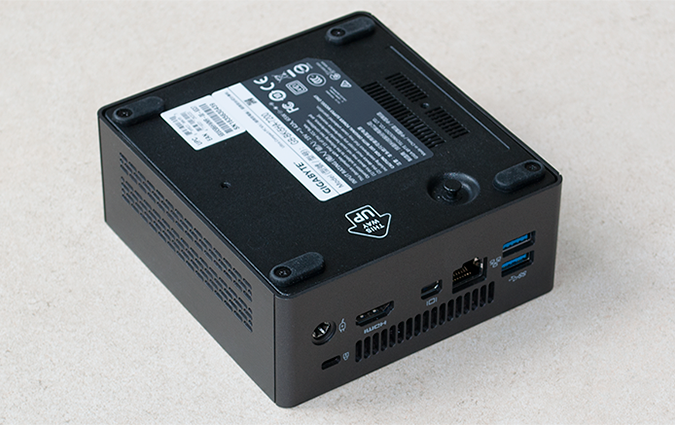 The miniscule 46.8mm x 112.6mm x 119.4mm system is perfectly suited to the 15W Intel processor, and it's a sign of the times that such a small box can tick so many boxes with regards to build quality and connectivity. The black metal frame looks and feels well-knitted together and the front of the unit is home to a microphone/headset jack, alongside two USB 3.1 ports - one of which adopts the forward-looking Type-C standard. Rounding things off nicely, the back of the Brix S is outfitted with two USB 3.0 ports, Gigabit Ethernet, mini-DisplayPort, HDMI and a connector for the external 65W PSU. Everything a modern, compact PC needs. Well, we say everything, but like previous Brix solutions, this latest iteration is a barebone unit, meaning memory, storage and operating system need to be added by the user. It's a simple enough process, as four screws on the underside allow easy access to the internal space, where you'll find a pair of SO-DIMM slots for memory supporting up to 32GB of DDR4, an M.2 storage slot, as well as a 2.5in bay for an SSD or mechanical hard disk. A familiar proposition, and one that includes expected value-adds. Wireless AC connectivity is integrated as standard, and if you're looking to save as much desk space as possible, a VESA mount is included as part of the bundle, allowing for the Brix S PC to be attached to the back of a compatible monitor. We suspect 8/16GB of dual-channel DDR4 memory and a low-cost SSD is going to be the preferred configuration method for most, and Gigabyte has taken the guesswork out of our review sample by populating the unit with 16GB of Kingston HyperX DDR4-2133 memory and a 240GB Kingston HyperX Predator M.2 SSD. If you don't envisage using the extra bay, it's worth noting that an alternate model dubbed the GB-BKi5A-7200 eschews 2.5in drive support for an even slimmer profile. Getting up and running is simple and straightforward, though cost can become something of a sticking point. 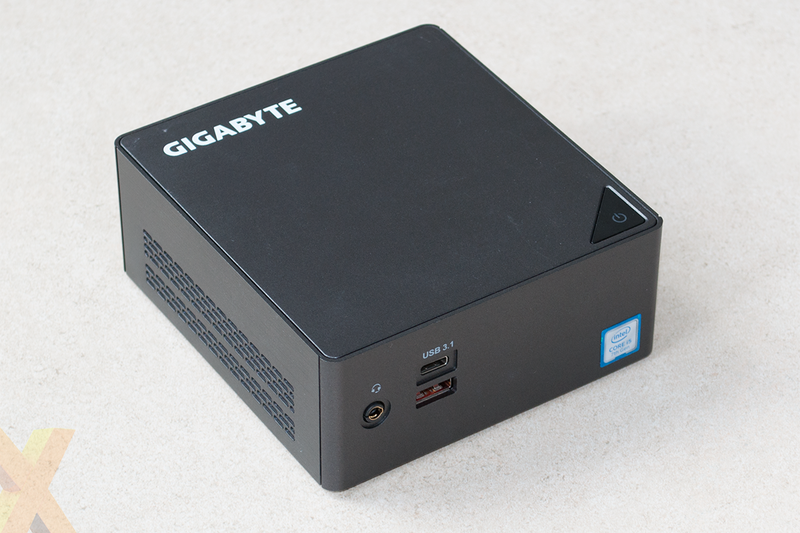 The base £400 price tag isn't particularly cheap to begin with, and with the added memory and SSD in Gigabyte's chosen configuration, plus Windows 10 as the operating system, total build cost rises to a considerable £630. So what exactly does the Kaby Lake processor bring to the table? Attached to the rear of the motherboard and cooled by a low-profile heatsink fan, the Core i5-7200U is a dual-core, hyper-threaded solution with a turbo frequency of 3.1GHz and onboard HD 620 graphics. Maximum speed is up almost 11 per cent over the previous-generation Core i5-6200U, so we envisage a reasonable bump in real-world performance, but Kaby Lake's positioning as an incremental upgrade is such that we shouldn't expect miracles. 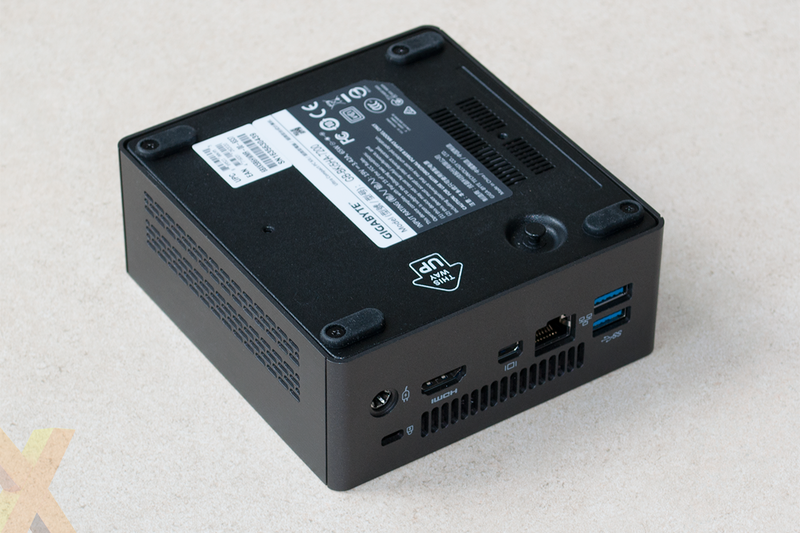 Existing Brix S owners won't, therefore, be rushing out to purchase an upgrade, but if you're contemplating your first-ever mini PC, this latest-generation model promises to be the best yet. Let's take a look at performance to see what it can do.